A student of life sciences will study micro-organisms, plants, animals, human beings and other living things. While medical sciences focus on the same areas but concentrates mainly on the health of human beings. Physical sciences focuses on non-living things - like space, time, quantum mechanics, climatology, geology, and oceanography. Engineering sciences focuses on development and creation of man-made objects. Mathematical sciences focus on equations, and, as the name suggests, all things related to mathematics. 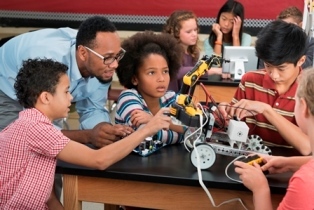 Parents and educators should encourage our young adults to further their studies in STEM, as this will help them find lucrative careers and gain an upper hand in a rapidly changing modern economy. It's important to remember that in order to pursue a career in science, engineering and technology you'll need to have good results in mathematics and science at a high school level. You'll also need to look at the different requirements at universities of your choice, as these usually vary between institutions. You'll need to pass your National Senior Certificate (NSC) with admission to bachelor's degree studies (which requires a performance level of at least 4 (50-59%) in each of 4 designated university admission subjects), or an exemption certificate issued by the South African Matriculation Board to students with other school qualifications. Many companies and universities offer bursaries to students wanting to obtain a Bachelor of Science or Engineering degree. Click here to see what is available. The Association of South African Women in Science and Engineering (SA WISE) Scholarship This bursary is for women who want to study at Honours level in any field of science and engineering. School leaver or university student between 18 and 25 years old. Studying (or intending to study) full time at any South African accredited university. Have an average of 70-80% in Mathematics (not Maths Literacy), 70-80% in Physical Science, and 60% in English. And qualifying points for entrance at the university, or acceptance confirmation. Applications can be done online, or hand in your application at your nearest Sappi HR Department. Visit the SAPPI website for more information. This bursary is for those wanting to study a Bachelor of Pharmacy (BPharm) degree at a registered South African university. Applications have to be done online. South African Institution of Civil Engineering (SAICE) bursaries are available to undergraduate students studying civil engineering. National Diploma students: SAICE Patrons Engineering Busary Scheme (SPEBS) bursaries are therefore intended for S2, S3 and S4 civil engineering students only. Degree students: SPEBS bursaries are therefore intended for 2nd, 3rd and 4th year civil engineering students only. Bursaries are granted per semester. Bursaries are also available to second year students. Poliomyelitis Research Foundation Bursary This bursary is available to postgraduate students studying science. And can be emailed to prf@nicd.ac.za. Prioritises financially disadvantaged learners when awarding bursaries, especially women, students with disabilities and learners from rural communities. Secures learning opportunities for Masakh’iSizwe bursars (i.e. interns). Secures employment opportunities for graduates. 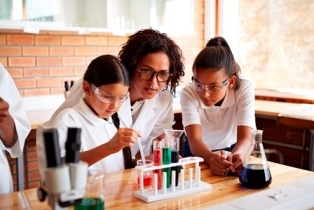 To learn more about science and National Science Week visit Mzansi for Science. To find out what's happening and download in the Western Cape visit the South African Agency for Science and Technology Advancement. Did you know every year, from 1 to 8 August to our country celebrates National Science Week? This awareness week helps shed light on the advances in science, technology, engineering, mathematics and innovation (STEMI), led by the Department of Science and Technology. During the week various stakeholders, role players and interest groups host events across the country to promote awareness and the value of pursuing a career in science, maths, technology and engineering.